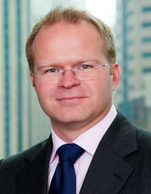 Nils Kristian Kovdal joined Standard Chartered Bank in 2010 as part of a team brought in to establish the ship leasing business for the Bank. He spent 5 and a half years in Singapore, originating, structuring and executing leasing and debt solutions for the Bank’s clients globally before moving to Hong Kong to take up regional responsibility for the Bank’s ship finance activities (debt and leasing) in GC and HK. Prior to joining Standard Chartered Bank, Nils worked as a relationship manager/investment manager for DVB Bank in London focusing on both equity and debt products for DVB’s European and Middle Eastern Clients. Nils also worked as a solicitor for UK Law Firm Stephenson Harwood gaining invaluable experience on legal matters related to ship finance and S&P. He has also worked for the International Organization of Independent Tanker Owners (“INTERTANKO”) in London/Oslo and served as an officer in the Royal Norwegian Navy. In addition to his legal qualification from the UK, he hold’s a BSc(Hons) in Maritime Business and Management from LJMU in the UK.